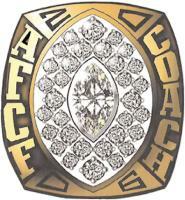 In an effort to bring recognition to the outstanding qualities of leadership found in America's corporate world, the American Football Coaches Foundation Board of Directors created the CEO Coach of the Year Award. The Foundation Board wanted the selection of the inaugural CEO Coach of the Year recipient to be an individual that would represent the very best in leadership qualities and character because those same qualities parallel successful leadership in football. After an exhaustive search and diligent selection process, The Foundation Board of Directors unanimously voted that Jeffrey R. Immelt, Chairman of the Board and Chief Executive Officer of General Electric, be the inaugural recipient of the American Football Coaches Foundation's CEO Coach of the Year. Immelt was honored at The Foundation's CEO Coach of the Year Dinner, held at The Waldorf-Astoria in New York, N.Y., on December 18, 2006. Bob Costas, Host, NBC Sports emcee'd the dinner at which Mr. Immelt receivee the first AFCF CEO Coach of the Year ring. Mr. Immelt, the 9th Chairman in GE's 128-year history, was appointed to this post on September 7, 2001. 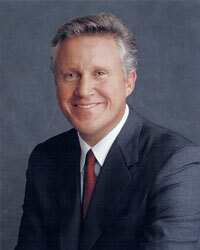 Previously, Mr. Immelt served as President and Chairman-elect of GE starting in November 2000. He began his GE career in 1982. Over the last 24 years, Mr. Immelt has held a series of global leadership roles in GE's Plastics, Appliance, and Medical businesses. He became an Officer of GE in 1989, and joined the GE Capital Board in 1997. In 2005 and 2006, Barron's named Mr. Immelt one of the World's Best CEO's. Under his leadership, GE has been named "America's Most Admired Company" in a poll conducted by Fortune Magazine, the world's most respected company in polling. Mr. Immelt serves as Chairman of The Business Council and is on the board of three non-profit organizations: Catalyst, devoted to advancing women in business; Robin Hood, focused on addressing poverty in New York City; and the New York Federal Reserve Bank. Mr. Immelt holds a B.A. degree in applied mathematics from Dartmouth College (1978) and an M.B.A. from Harvard University (1982). He and his wife, Andrea, have one daughter. The funds raised from the CEO Coach of the Year Dinner support the AFCF's education initiatives through American Football Coaches Association's publications, website and national convention. More than 6,000 football coaches from all levels attend the national convention and 10,000 football coaches globally benefit through personal, technical and leadership development. The staffs of the AFCA Coaches of the Year and national championship teams receive $1,000 scholarships to further their education and development. Because Mr. Immelt was a two-year letterman in football and graduated from Dartmouth College, the Dartmouth assistant football coaches received a $1,000 scholarship in 2007 to further their education and personal development. The 2007 CEO Coach of the Year Award Dinner will be held December 18, 2007 at the Waldorf-Astoria in New York City.